Learn to tie 78 different decorative knots to use in making unique handmade jewelry and other accessories. 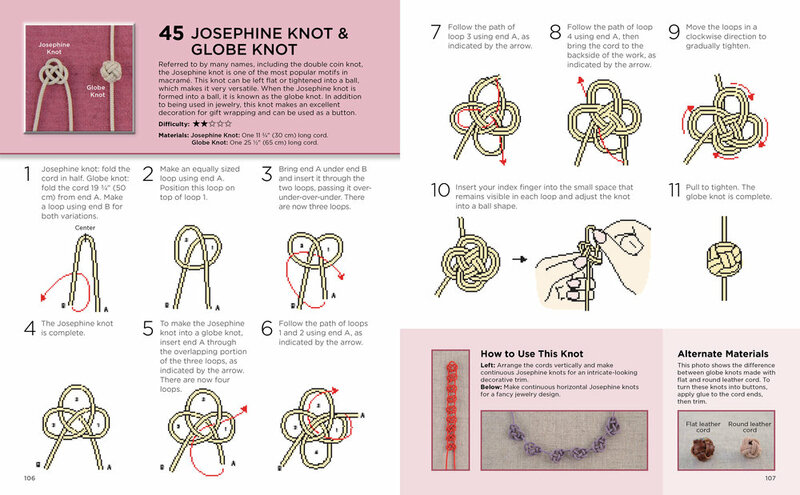 Each knot includes detailed step-by-step instructions, with clear diagrams illustrating every step—plus helpful tips on alternative materials to try, tricks to make tying easier, how to use the knots, and decorative variations and color patterns. Use the knots you've learned in 22 great projects for making bracelets, necklaces, pendant settings, and other jewelry, as well as buttons, bag handles, and knotted lace trim.